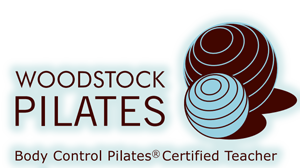 Woodstock Pilates is now available on Bookamat. If you would like to book your mat space with us, please visit our Book Now page. Please note that you can still book your sessions directly with the studio. We are excited to announce an addition of a new BootyBarre class taking place on Tuesday mornings at 06:45. CURRENTLY NOT AVAILABLE – Aqua Pilates encourages your body to move in a different and unique way. The low impact environment with buoyancy, resistance and turbulence offer an ideal environment for a fun workout. Improving your Balance, Control and Coordination in a warm and nurturing environment will leave you refreshed, soothed and rejuvenated after this full body workout session. Aqua Pilates is also recommended for all types of rehabilitation and pregnancy. Developed by Joseph Pilates in the early 1920’s, Pilates is a body-conditioning programme which strengthens and tones, increases flexibility, develops correct body alignment, and improves balance and co-ordination. Find out about all the courses Woodstock Pilates has to offer. See the timetable to fit it into your schedule.